Home Premier League Chelsea Will Jose Mourinho Rub Salt in Chelsea’s Wounds ? Will Jose Mourinho Rub Salt in Chelsea’s Wounds ? 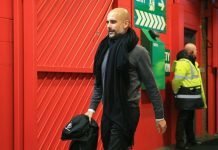 Over the last decade, Chelsea vs Manchester has been the blue ticket fixture of the Premier League. While the league consists of various huge matches, none have caught the eye more than this one. 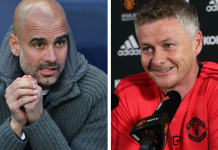 The two sides are the two most successful sides of the Premier League Era. On Sunday, this new found rivalry will resume action. 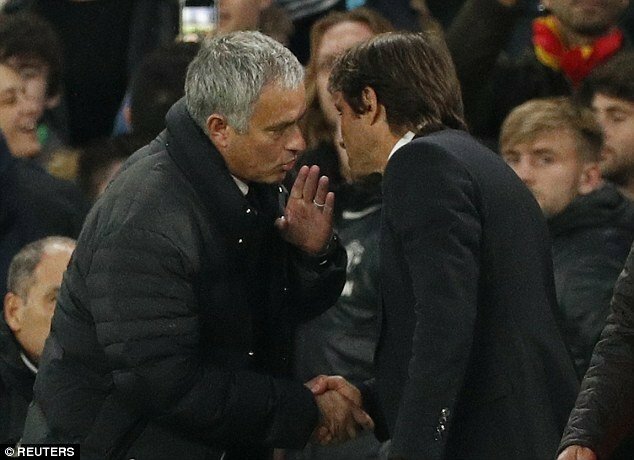 Jose Mourinho’s Manchester United will travel to London to take on Antonio Conte’s Chelsea at Stamford Bridge in a vital Premier League game. Victory over Tottenham Hotspur last weeks means Manchester United remain second in the table, Five points behind Manchester City. While defending Champions Chelsea have won their last two games in the league, their poor start to the campaign has ensured they are only 4th in the table. Manchester United have a 4 point lead over Chelsea hence making this a crucial encounter. Last season this fixture turned out to be an embarrassment for Manchester United, as Chelsea thrashed them 4-0. Jose Mourinho’s men returned to Stamford Bridge again for a FA cup QF tie where the blues won 1-0 in a tight encounter. It was at Old Trafford in April where the tides turned as Manchester United comfortably won 2-0 to register their first win over Chelsea since 2012. Where will this match be won and lost? Chelsea come into this match on the back of an embarrassing 3-0 loss to Roma in the Champions League. It was a match that epitomized the below standard start to the season Chelsea have had. Evidently, things aren’t perfect at Cobham right now. If Chelsea plays the same way they did in Rome, things could turn sorer for them on Sunday. 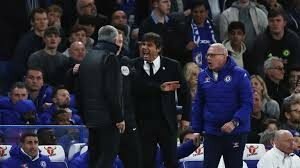 It is clear that Antonio Conte has to make some changes and whether he is bold enough to do so could well make the difference on Sunday. As long as he lives, the way Jose Mourinho sets up his team will remain under scrutiny. Its such big away games where he can displease a lot of football’s purist. 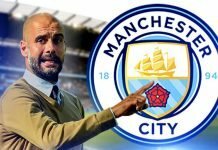 Whether it is the kind of football big teams should be playing can be debated but it cant be argued that it works for him. There isn’t a man better in football who you would want to set your team for a match when everything is on a line in a single match. If Mourinho is at his tactical best there is barely a chance of anyone getting the better of his side. On the other hand, of late his teams have been way more defensive than needed and he would be ill-advised to do so against this Chelsea team who have struggled against high pressing teams. 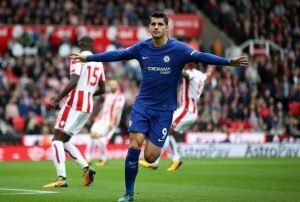 Romelelu Lukaku and Alvaro Morata were the two marquee center forwards signing made by the two clubs. Their story of how their transfers could have easily gone the other way is well documented. Both began the season is tremendous form. 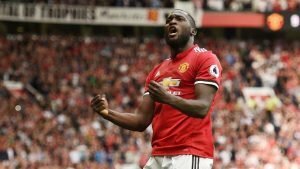 Lukaku bagged 7 goals in the first 7 league games, while Morata got 6 in the same period. Since then both of them have a hit a drought. Both have not scored a goal since returning from the international break. These two players are vitally important to their sides in many aspects. Whoever can regain form at Stamford Bridge could be the game changer. Both Chelsea and Manchester United over the past few weeks have been without their midfielder stars. French internationals Ngolo Kante and Paul Pogba’s injuries have evidently affected their sides. It is been clear as daylight as how much both sides miss them. Both of them have a chance of returning to the fixture. It probably doesn’t need an elaboration how big an impact them coming into the lineups could have for their respective teams. While United have achieved great things over the years, their record at Stamford Bridge isn’t that inspiring. Since 2002, the Red Devils have only managed one win there. 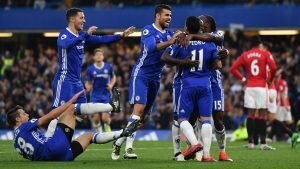 That solitary win was controversial as Chelsea were reduced to nine men. On the other hand, this is arguably United’s best chance in a long while to get 3 points at the Bridge. The match will kick off at 4:30 PM local time/10:00 PM IST.